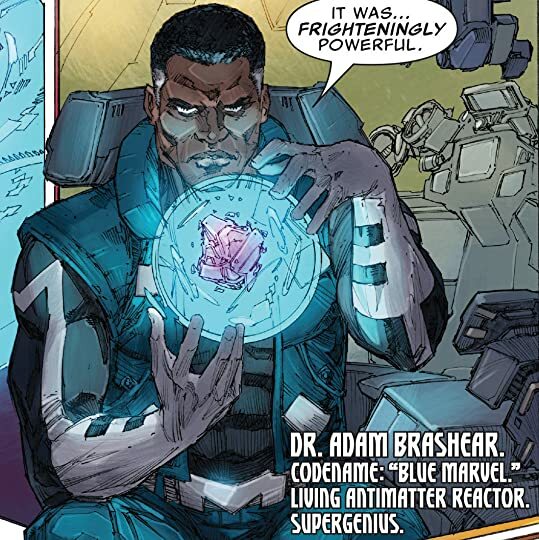 The Ultimates have come together to fix the impossible problems in the universe. This comic takes itself too seriously. It's attempting to delve into the mysteries of the Marvel Universe, most notably Galactus himself. It comes across as dull and somewhat pompous to me. They have a solid roster featuring The Black Panther and Captain Marvel, but it doesn't work for me. Little to know actual fighting occurs it's literally talking and some science fiction science throughout the volume.